Two IDC employees are part of the Trek4Mandela Challenge expedition which is tackling Mount Kilimanjaro to raise funds to keep the girl child in school and commemorate Mandela Day. The IDC’s divisional executive Shakeel Meer and Head of CSI Tebogo Molefe were part of a group of 42 climbers that flew out from OR Tambo International Airport on Wednesday, to take part in the 2016 Trek4Mandela Challenge. The challenge will see Meer and Molefe taking part in an expedition to climb Mount Kilimanjaro, the tallest mountain on the African continent and the highest free-standing mountain in the world. 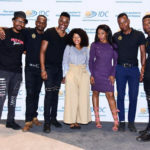 Their efforts will be aimed at raising funds for the IDC’s Women’s Legacy Project, an initiative launched by IDC women in 2012 to provide sanitary towels to underprivileged girls in schools across the country. 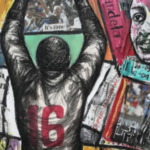 Led by pioneering South African adventurer, Sibusiso Vilane, and founder of the Caring4Girls project, Richard Mabaso, the Trek4Mandela Challenge celebrates Madiba’s legacy by supporting the education of South African girl children in need of basic necessities such as sanitary towels. Research has shown that South African girls from poor backgrounds miss up to 50 days of school annually due to menstrual hygiene related challenges. Some girls end up using material such as cloths, which besides being uncomfortable and undignified is potentially harmful to their health. Ahead of the airport send-off Molefe said her participation in the initiative – was motivated by the need to support 11 000 girls at IDC-adopted schools spread across the country. “We have adopted 20 secondary schools and my experience in working with these girls has motivated me to act and participate in this challenge,” she said. Ahead of the challenge, Molefe explains that she undertook intensive training. “I must say I was experiencing nerves during the past week but I think I have prepared very well and I am excited about the journey I am about to undertake”. For Meer, the Trek4Mandela Challenge 2016 provides him the opportunity to give something back to the community. “Many girls with a lot of potential are suffering because their education is being hindered. This is our opportunity to help them,” he said. “I can say I was nervous for the past few days but am 100% excited to take on the challenge. These types of initiatives are absolutely critical. My hopes for this expedition are to reach the summit and comeback safely. I also hope that a lot of money will be raised for the cause,” he added. IDC CEO Mvuleni Geoffrey Qhena was on hand to offer a message of support to Meer and Molefe. “Although we cannot support you physically, we want you to know you will be in our thoughts every step of the way. When tough times hit, we hope that our positive wishes and that the thousands of girls you are doing this for, will carry you”, read his message in part. Last year on International Nelson Mandela, Qhena, accompanied by Lebo Bodibe, who is an IDC Functional Champion in the Customer Relations Management department summited Kilimanjaro in support of the Caring4girls initiative. Mabaso says the Trek4Mandela challenge will be tough for the participants, especially when they are about to reach the summit point. “I always say to climbers that they should give it their all because it is doable. This will be Sibusiso Vilane’s 20th summit to Mount Kilimanjaro and I think that shows how doable it really is,” he said. “I encourage the climbers to dig deep and really be committed to completing the challenge. We have been training the 42 climbers for the past six months and hopefully they will complete the journey,” Mabaso said. Mabaso says that he is certain that all the girls who will benefit from this challenge will be very thankful and appreciative of what the climbers are doing. “These girls will tomorrow be our future leaders so investing in them today can only mean a better South Africa,” he said. 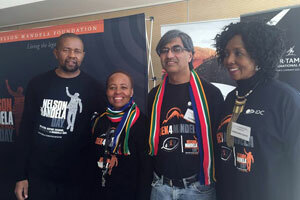 The group will aim to summit Mount Kilimanjaro on Nelson Mandela’s birthday on 18 July. You too can join the IDC climbers and employees to help these young women. To get involved and support the initiative to keep the girl child in school, make a donation via SMS or EFT payment. SMS to “Shakeel” or “Tebogo” to 42513 to make a pledge of R30.